Even though the the climbing is not technically difficult, it is long and strenuous. The ascent is 1600 meters, and the duration is 12-14 hours. Clients therefore need to be fit and have experience with mountaineering. 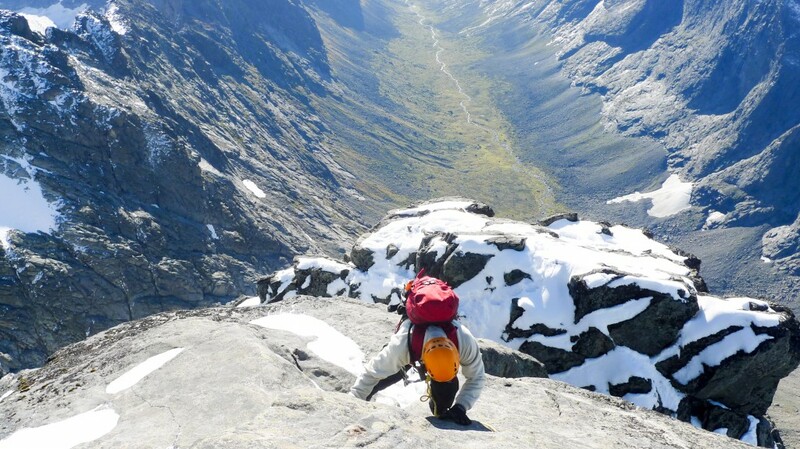 In addition to four pitches with grade IV and III climbing, the climb includes easy scrambling, one glacier crossing and ascent and descent of steep snow fields. If you are uncertain about your own climbing skills, we reccomend a half day climbing course before the summit day. The climb starts at Turtagrø hotel at 865 m.a.s.l. For two hours it follows a well established trail up the Skagastøls valley, passing the Norwegian Alpine Clubs cabin at 1200 m.as.l. Then it crosses the easy Skagastølsbreen glacier before ending up in the col between Søndre Dyrhaugstind and Storen, at 170o m. a. s. l. From here the steepness increases. We follows steep snow fields on the south-west face of the mountain, before encountering the “Slabs”, where we need to do two pitches of climbing (grade II). Then the terrain eases until we get to the “Corner”, were we traverses a ledge, the “Gallery” out in the south wall of the summit (II). Then the there is a short, steep pitch with grade IV climbing, through the routes “Vigdals slab” or “Heftyes gully”. Followed by three short and easy pitches to the summit. The retour includes a 40 meter abseil down to the corner. 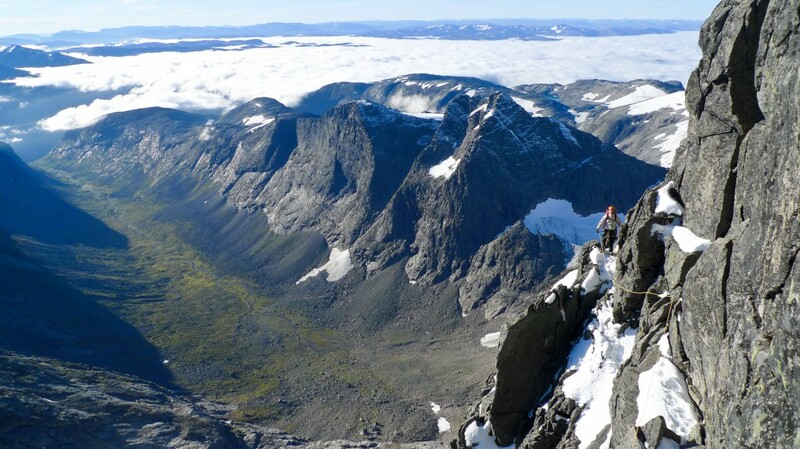 All Breogfjell Mountain Guides that take clients on alpine climbing routes are qualified IFMGA/UIAGM/IVBV Mountain Guides (called “Tindevegledere” in Norwegian) or aspirant guides. They know the area like their own pocket, and they also speak English. insulation midlayer (wool, fleece or thin down west). There are several opportunities nearby. It is free to pich your tent except right outside lodges. Then you have the Sognefjellshytta 15 minutes away, the grand Tørvis Hotel 40 minutes away or you could stay at Turtagrø hotel. Bring your own lunch pack and energy bars. The price does not include lodging and food.  You can take a bus from Sogndal or Lom to Turtagrø in the season, check www.kringom.no for schedules. To reach Turtagrø by car takes five hours from Oslo, four from Bergen and one hour from Sogndal. Storen and the Skagastølsridge seeen from Søndre Dyrehaugstind. 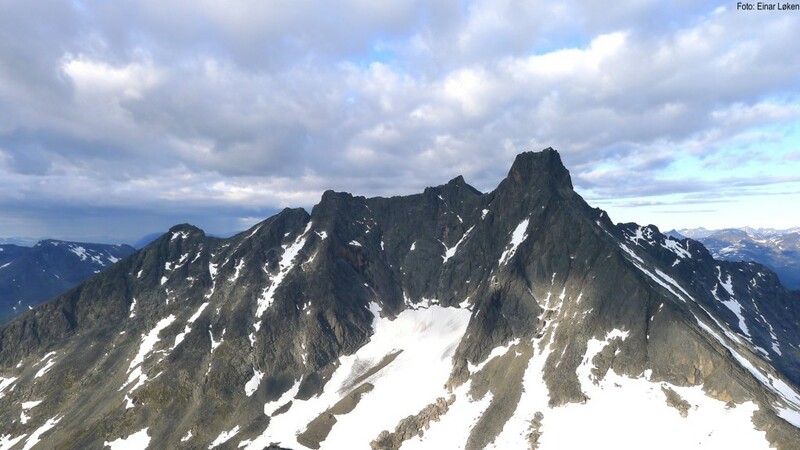 The route starts in the right hand corner of the picture and follows the snow fields towards the summit. Requires fitness and mountaineering experience.